FOR THE AMERICAN GAME AT-LARGE – from every conceivable angle – nothing is what it seems. A diverse country with vast amounts of resources and a well-established sporting infrastructure has ensured these necessary elements – diversity and resource allocation – aren’t utilised to maximise the American game. From the outside, American football looks like a buzzing and thriving sport. In many ways, that is true. However, looking past the dog and pony show, unsettling elements are at play. American football requires a shot of truth serum to make headway beyond merely being a participant in world football. That shot might as well be rattlesnake venom because American football is indeed snakebitten. The prevailing perspective shouldn’t solely focus on the failure to qualify for the 2018 World Cup. Rather, American football must frame its expectations differently. The more apt conversation should be about why the US is not capable of challenging for the World Cup instead of merely not qualifying. That discussion requires addressing the plethora of issues and the lack of accountability from the top-down. The US has coupled participation trophies as the ultimate reward instead of actual development in youth sports, mainly football, must own up to some unsettling realities. If qualifying for the World Cup out of CONCACAF, a region designed for the US and Mexico to emerge from, is a standard, then it’s clear mediocrity has become the standard. It’s not enough to ask whether or not US Soccer – from a federation level – wants to merely participate or if it intends to actually compete on the world’s stage. Here’s why: for the last 25 years, American football fell into a cycle of congratulatory acclaim for triumphs on the men’s side of the game: hosting the 1994 World Cup, setting up Major League Soccer and keeping it afloat, and qualifying for seven consecutive World Cups since 1990. For all the good those milestones did, other countries within CONCACAF improved too – largely due to the resources available within the US. The American game finds itself at a crossroads whose intersection is the focal point where questions, accusations and troubling realisations have collided. For the first time in recent memory, issues that continue to hamper development now dominate all American football-centric discussions and debates. Before change can occur, identifying the ills and shortcomings of the system must be addressed starting with the entities that dictate and run US Soccer, Major League Soccer, and Soccer United Marketing (SUM). This collection people and businesses controlling American soccer’s trajectory look determined to continue to resist the systemic reform and wholesale changes necessary to maximise the potential of American football. Dissecting and analysing American football is an exercise in madness. Conversations and debates range from franchise models versus fan-owned clubs, playoffs versus single table league standings, promotion-relegation versus a closed system, and the type of athletes that play football to name a few. As relevant or idiotic as those arguments may or may not be, one element continues to be ignored: culture. Culture dictates everything when it comes to a sport like football. The United States has no shortage of resources, players, fields, minivans, orange slices and participants. What it doesn’t have is a true culture on a large-scale basis. Vital elements like self-play, recreation games, and street football are not woven into the fabric of society in ways that basketball, American football and baseball are. From the earliest years, parents and coaches ensure any creativity is coached out of players. Youth tournaments are regionalised and nationalised when competition ought to be localised – an element that has turned a working-class, simple sport into a cash cow, money-fuelled business. By the time a youth player is established, the game functions like a chore or extracurricular activity more than it does a lifestyle. Parents demand results for monies paid to coaches with an eye on results over development. Football is not part of the every day for enough of American society. Yes, there are pockets and players that live and breathe the game – and in many ways, they are the ones who lose out the most. Not enough kids dribble to the bus stop with a ball at their foot, nor do enough congregate at parks or in the cul-de-sacs across the country to play in unsupervised and unstructured environments. Where other countries have courts dedicated to and populated with aspiring players of all ages and ability levels living, breathing, and bleeding the game, the US continues to lock the gates, post the “stay off the field” signs, and ignore the fundamental aspect and form of football, which needs to start at home. There is a curious culture associated with the American game. As trendy, enthusiastic, patriotic and hip as it may be, this culture is also misguided. The culture dominating football is a strange coalescence of jingoistic, beer-soaked support that is incredibly fervent. However, no matter how overzealous the pageantry and patriotism may be, the critical element of authenticity isn’t there. Instead, it’s a chop and drop job of ‘mockney’ and capo-led chants spliced with traditional American sports rallying calls shoehorned into the global game. Fans can proclaim their team name and add “till I die” all they want – the dominant culture still lacks the elements that make passion for the game a lifestyle, not a seasonal thing. Make no mistake, football is still regarded as a niche sport in the US – this is by design. One has to wonder what would happen football if casual attitudes and platitudes were deprioritised. Accountability – on and off the pitch – would reshape football from the top-down. As it stands, the accompanying media and pundit teams tasked with covering the sport is largely-compromised, fearful of losing access for asking the critical questions of Major League Soccer, the United States Soccer Federation (USSF), and really, of itself. 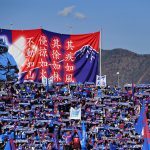 A lack of accountability and journalistic integrity has helped dictate the tone of a fanbase that is either conditioned to default to a just-be-grateful-football-exists-here stance, thus diverting and convoluting necessary elucidation of the system, national team programs, domestic leagues as outright attacks. It’s this misconception that has driven a pike into American’s fan base and history. 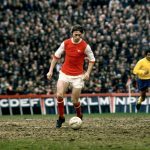 For some, football has always been part of the American sporting landscape with a rich history of the U.S. Open Cup and numerous friendlies, historic games and leagues that warred with other sports and football itself triggering the death knell for the game for extended periods of time. But for others, it truly began in 1994 with the World Cup in the US or perhaps in 1996 when Major League Soccer kicked-off. The disparate points of views are hot-button debates in any noted circle. Presently, the state of American football should never have been defined by one game, but that’s exactly what happened. The fate or success of the game at-large shouldn’t rest on the shoulders of 11 players and a bullish manager that could not find a way to win when it mattered most, yet this is precisely what is happening. Discussions revolving around this snapshot risk being disingenuous and ignoring the success and excellence of women’s football, which has been able to make winning a tradition and World Cup triumphs a standard. And there, too, the world is catching up. Football hangs on tenterhooks as the philosophical clash between the status quo of American sporting ideologies that long baulked at a sport it deems foreign, soft and “un-American”. The complexity of the game is a frustrating case study of clashing philosophies gone awry in such bewildering and unnecessary ways. There’s more to the American game than the USSF seems to recognise. The federation, with its surplus of funds, resources, labels and influence, governs a sport that is disjointed top-to-bottom. The lack of continuity between the federation and any feeder associations, clubs and leagues has shown that American football’s footprint is defined by warring factions and fiefdoms, all of which are looking out for their own business interests. We indeed find ourselves in strange times. The condition of the game has never been falsely greater than at the present. In many ways, the story of American football represents the parable of Daedalus and his ill-fated, arrogant son Icarus in Ovid’s Metamorphoses. The wings Daedalus made for himself and Icarus represent the power that comes with harnessing their utility. The United States and the powers at be claim to have the knowledge, infrastructure and the power to be successful. In the mythological story, the instructions for Icarus were simple: resist the urge to fly too high to avoid the heat of the sun from melting the waxed coated wings and not to allow his level fall too low lest the sea foam to soak the feathers rendering flight impossible. The men’s national team attempted to soar high while dropping its standards far too low. The result was arguably the most ridiculous collapse in American football history. Peeling back the layers, the inconvenient truth is that the USSF and the men’s national team, composed mainly of players from Major League Soccer, played the tragic character whose hubris clung like a wet cape. The team’s concentration, partly-deterred by a coach’s arrogance before the match, didn’t compete and execute. In more metaphorical terms, it flew too close to the sun and, in so doing, melted the paraffin wax that held its meekly-constructed wings together. American football, not just the federation and the national team, got burned. On that fateful night in Trinidad and Tobago, along with far too many other performances during this past World Cup qualification cycle, the team was disjointed, unmotivated and unwilling to take control of the contest. As such, the ascension of the American game, the progress of the domestic game and national program that Sunil Gulati, Bruce Arena, scores of MLS pundits and media members, and loyal, league-serving fans claim has reached great heights over the better part of 25 years, seems less impressive. And so, a quarter of a century and some change after qualifying for the 1990 World Cup – against Trinidad and Tobago, no less – it is American football’s ascension that’s matched by its plummet back to earth in a sobering and shocking reality. The fiery re-entry into an unforgiving atmosphere stings. And this hangover is going to last as long as the behaviours that caused it in the first place persist. American football is plagued by many things. Revisionist history, protectionist practices, relying on the next youngster to save the American game, depending on a system that makes it possible for predominately affluent families to excel in, are but a few of the myriad of systemic issues. The most egregious issue, however, may be allowing the game to remain in total control by monopolists asserting that the current closed system is the best way. Perhaps two decades ago, that may have been the case – but the times have changed. The football world has grown more intertwined with business, and a generation of Americans are waiting for and wanting for a new system. As the election for president of US Soccer approaches, the waiting and wanting of a new system will not be enough if Americans are not willing to work for change. The prevailing attitude that the closed system works is not wrong. It does work as a monopolistic business model. As a football model, however, it continues to impose a ceiling on itself. The US game continues to handcuff itself by not prioritising systemic reform. The inconvenient truth of American football is that it is fuelled by enablers lurking in the shadows. These enablers pounce on every success, taking credit when it’s convenient while masterfully having excuses at the ready for every shortcoming whether it be the “newness” of MLS and a stable league in the US compared to foreign leagues. Again, American football has a richer history than many care to acknowledge, allowing apologists for the current system to baulk at talk of reform. 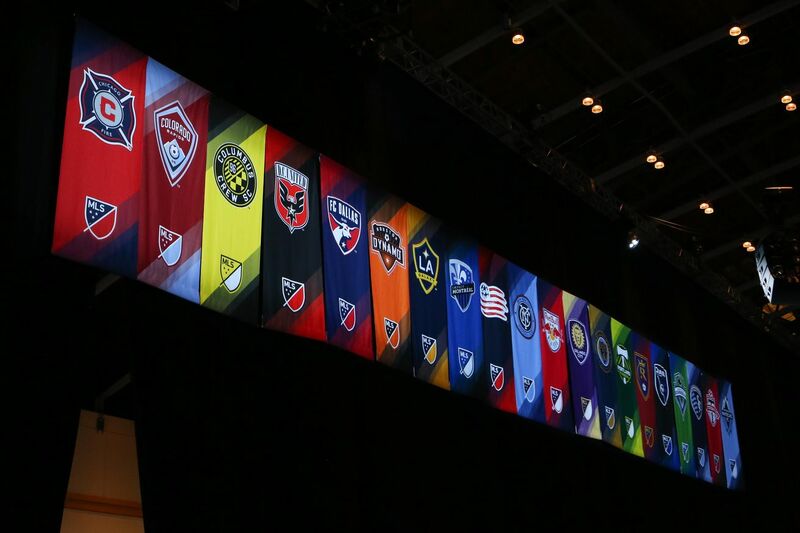 Elements of Major League Soccer, from the media to messaging, is conciliatory, acting as an effective force channelling faux platitudes and pumping ridiculous narratives such as predicting MLS will be a ‘top five league by 2022’. Moreover, Major League Soccer and its messaging does a masterful job of convincing the casual American fan base that it must relent and submit to a totalitarian system built on centralised control — a bold triumvirate of the power structure of Major League Soccer, Soccer United Marketing (SUM) and the USSF. American football is a paradoxical fabrication of a sporting ethos at war with itself. A partitioned ‘soccer-first culture’ is no longer silent; it’s aggressive in its expression of dissatisfaction. The overarching, general distaste for football by the mainstream public and media personalities continues to clash with dominant pockets of the game at odds with the stagnation and convolution of the domestic league structure and governance methods. Many who grew up supporting MLS and football on every level – before the glitz and glamour, television deals, Eurocentric rebrands and a slew of other marketing strategies – have morphed into a subculture demanding change. Today’s fan, player and coach has access to the global game and a higher standard of play. Where a generation or two ago young players could only dream of watching the best players and teams every weekend, today’s audience sees at a molecular level. The effect places pressure on the domestic leagues, especially MLS, to raise the quality of the product on the pitch. 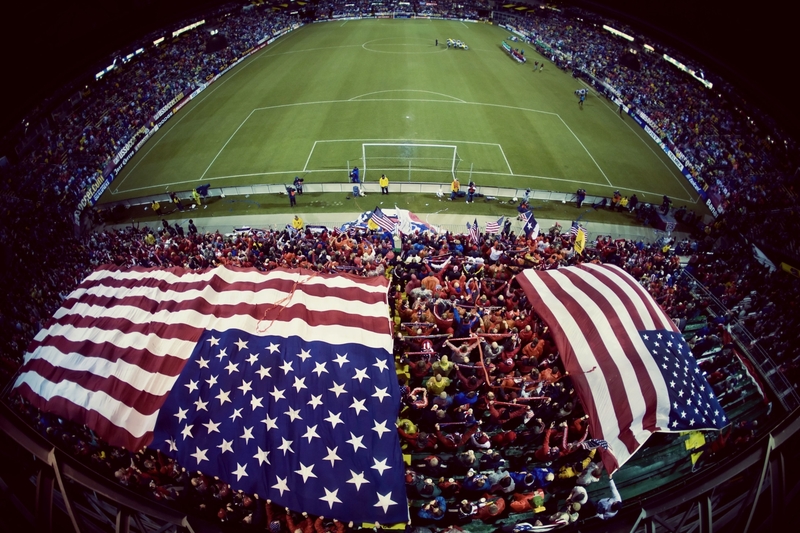 The debate as to whether Americans like MLS or not is off the mark. Americans prefer foreign leagues over MLS and want the domestic product to maximise its potential and improve. Again, culture is everything. Young players grow up dreaming of playing abroad, not in the US. Ironically and predictably, this leads to a predictable us versus them narrative where MLS fans and the media have twisted the narrative to frame those who criticise MLS as agents that ‘aren’t helping the American game’. In the US, people have mistaken participation in football for quality. The truth is that the current system isn’t constructed to produce the requisite talent to dominate on the global or regional stage frequently enough. Of course, there are outliers, but it can be argued that those players and coaches developed despite the system, not because of it. American football is still too off-the-pace with the global standard and mired in false equivalencies to such an extent that its reality is skewed and full of misnomers. The term “academy” and the flippant use of labels creates a false sense of quality. Major League Soccer is not a major league. It’s not nearly competitive enough on the field with top club sides residing in CONCACAF let alone compared to top European and South American teams. Young players grow up siloed in grandiose categories of lie-ridden semantics that define the cost-heavy family and player-funded youth system. Many actually believe if their club team is called elite, premier or select, that it is, which is not only an outright misappropriation of the perception and terms – it’s a marketing ploy to fuel the industry that is youth football. 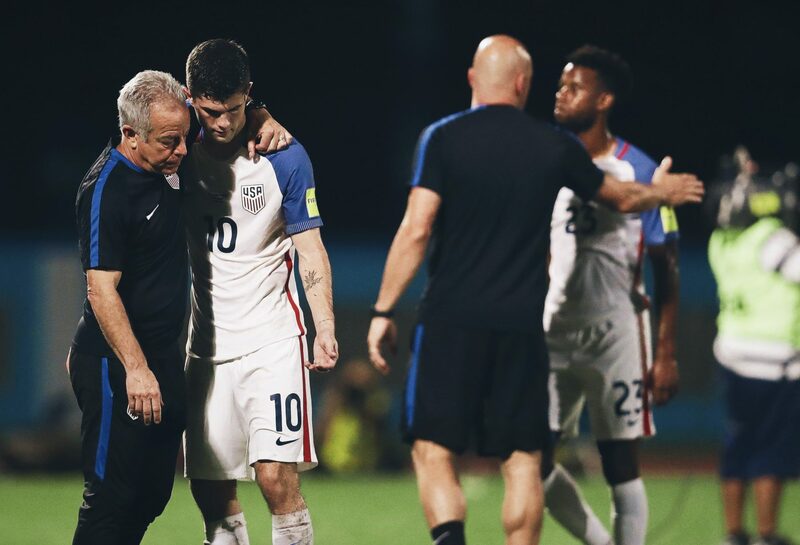 Examining why on the men’s side the US failed to qualify for the last two Olympic cycles and the 2018 World Cup is essential and painstaking. Factors such as pay-to-play, affordable and available coaching education, the absence of an open and connected tiered professional system (promotion-relegation), the refusal of the USSF to incentivise and reward player development by way of solidarity payments and training compensation, the reliance of the restrictive collegiate system at a crucial age range, all play a pivotal role. Identifying and listing the obvious and not-so-obvious elements contributing the latest failure of the national team only tells part of the story. There is enough blame to go around for failing to qualify for the World Cup in such a ridiculous manner. This latest fail point is merely a symptom of attempting to shoehorn a truly global game into a restrictive and Americanised schema. The outright refusal to pump more resources, focus attention, improve education and a put a substantive presence in the country’s underserved communities, be they rural or urban, has resulted in a dependence on the typecast suburban-centric archetype of the American player. Furthermore, the type of player produced at the US Soccer Development Academy level is technically and arguably tactically more talented and superior than any preceding generation, yet that same type of player has neither the compete level nor the creativity to find a way to win, as evidenced by consecutive Olympic qualification cycles before crashing out against a Trinidad and Tobago team playing for pride. This fault falls less on the players and more on the system by which these players were produced and promoted. Make no mistake, the system’s business motivations suppress the player and coaching development and total advancement of football on the field. The industry that is American football is predicated on appeasing cheque-signing parents, producing coaches that value results over development, and shielding the sport from true criticism. Many are asking what is necessary to change the landscape and fortunes of American football and those involved are not asking the wrong questions – they are having the wrong conversation. There is unlikely to be a single solution that operates as a panacea for all the ills and deficiencies of the domestic game from the youth to professional levels. If there is one, it is a truly open system where player development becomes an industry. Where investment in all tiers of the game is not a Ponzi scheme but a truly open and free market. Additionally, incentivising player and coaching development must be key drivers. Creating and fostering football as a cultural pillar is paramount. So, what does progress really look like? Looking at Germany, Belgium and even Iceland’s reboots are helpful, and elements of those models can be implemented in the US, however, wholesale copy and paste comparisons will not work. Perhaps shifting expectations to more realistic levels is the first step forward. Instead of labelling anything related to American football as “world-class”, the USSF should aim to make the necessary reformation steps to help the current and future generations. The American game has been found out. It needs less marketing and more implementation to correct the false sense of entitlement throughout the system. Results-wise, the American standard of play and player is falling behind at the senior level. 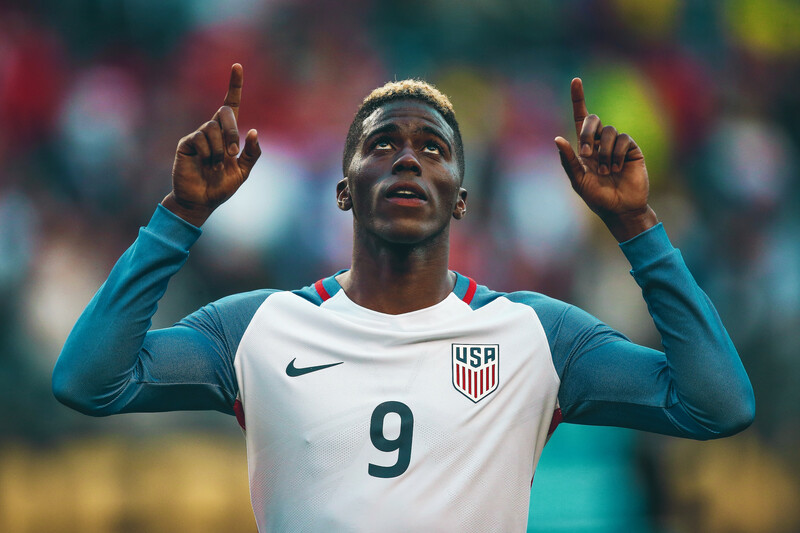 At the youth levels, be it with the national team or at clubs, American players remain competitive until around the age of 17 or 18. Here, yet another imposed ceiling in the form of a restrictive collegiate system where little-to-no development can occur only hampers coaches and players. Without a cohesive nine-month college system, the 18 to 22 age range continues to be shanghaied. The most obvious element is the scarcity of professional teams and a professional system that should have no fewer than four or five tiers covering the American landmass; it’s no surprise the American game is at risk of falling further behind. For all the reported commercial success of Major League Soccer, the standard of play and the standard of the player produced has plateaued. MLS Commissioner, Don Garber, is on record stating that the league continues to lose money year after year. 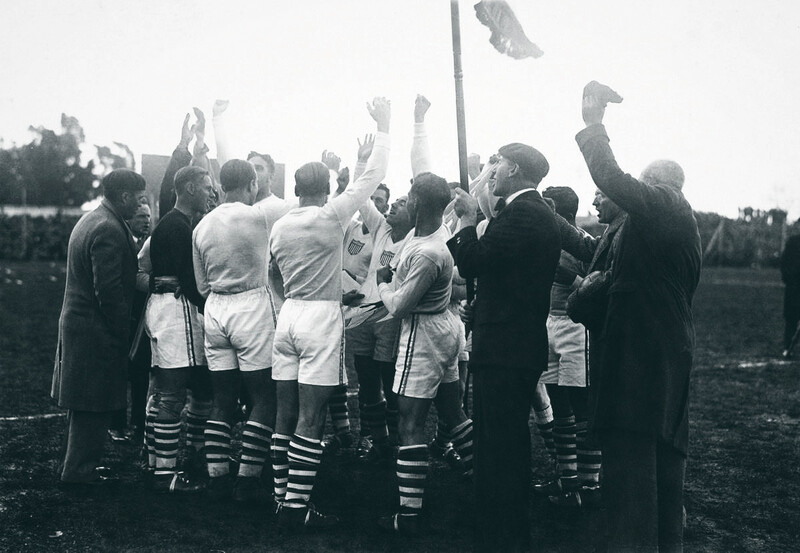 The league’s formation hinged upon many promises, one of them being the development and advancement of the American player and the men’s national team program. MLS has marginalised the American player in a multitude of ways in the pursuit of commercial success and in an attempt to popularise itself to a subsection of new-to-football fans. For example, if a team had a $30 million payroll in MLS, it’s likely three well-known, ageing, domestic or international players are making $27 million while the rest make peanuts. As hyperbolic as that example may be, it’s what has happened. Major League Soccer, the NASL, and USL, NPSL, and PDL levels require cohesion. There has to be a pathway between the professional and semi-professional levels for players to improve in. Reform is as necessary as it is unlikely with the current powers at be in place. Football in the United States is a business, and it has run amok. Time will tell whether the American game can learn and evolve. The best case scenario is taking advantage of the time before the next cycle lest that time take advantage of US Soccer. From a leadership perspective, it must throw the ego out. American football has far too many con men operating as confidence men. The time for change is long overdue. The players, resources and potential exist. The task is recognising that problem exists and addressing it immediately, collaboratively and effectively.